VIDEO: Hulkenberg flipped upside down in horror crash! 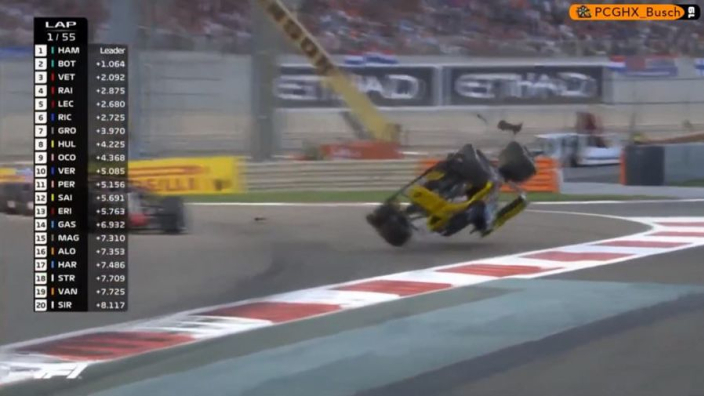 Nico Hulkenberg was involved in a scary crash on the first lap of the Abu Dhabi Grand Prix as a clip with Romain Grosjean flipped him upside down and into the barriers. Thankfully, Hulkenberg was able to walk away from the accident.